Below are baby safe cabinet and drawer safety locks and latches used by your local Baby Safe Homes baby proofing professional to help baby proof your home. 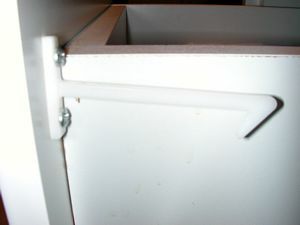 Most of these latches are not available direct to the consumer and are much better quality, more durable and easier to use than those found in retail stores. 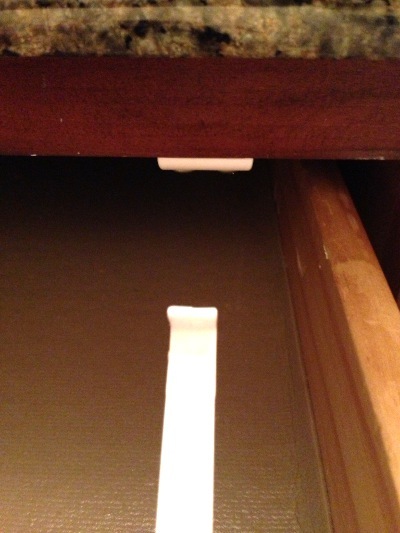 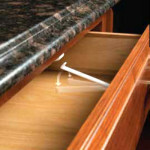 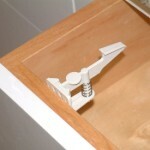 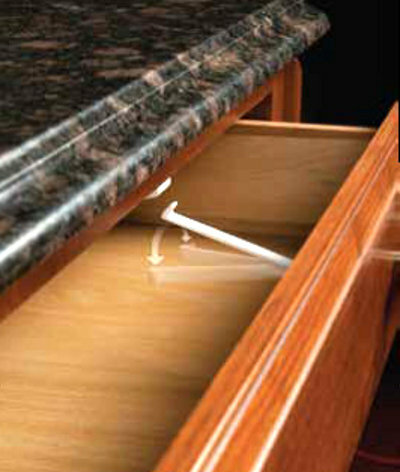 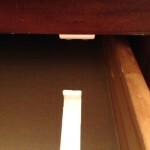 It is important to choose the correct latch for each cabinet and drawer based on how the cabinetry was built. 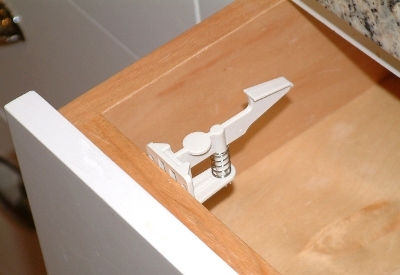 It is typical for our trained installers to utilize more than one style latch to get the job done right! 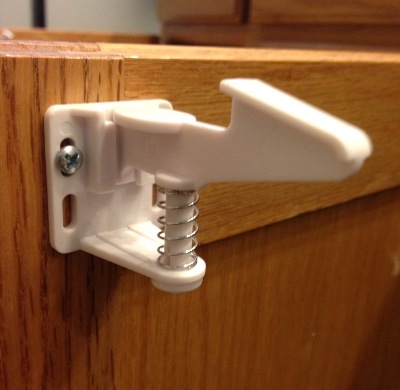 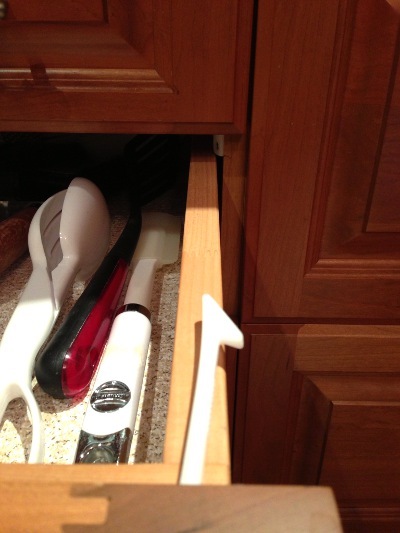 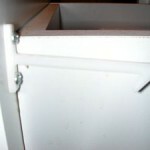 Below are common latches found in local retail stores that will either not work properly in most cabinets and drawers, are difficult to install, more difficult to use and as you can see, break easily. 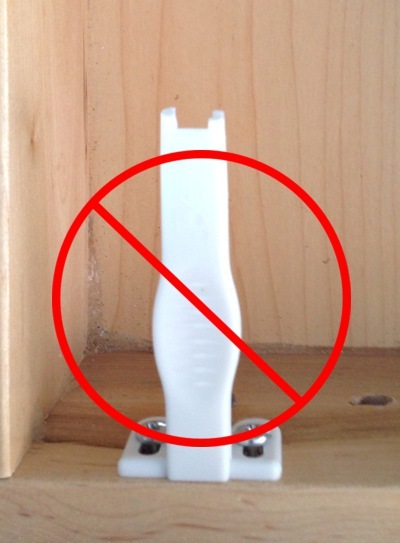 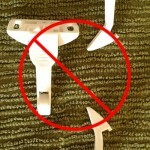 Your Baby Safe Homes safety professional will NOT install these inferior latches. 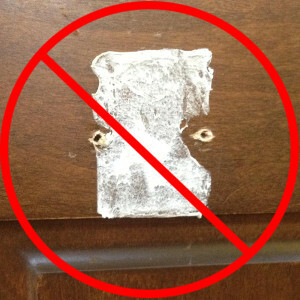 They are just plain junk! 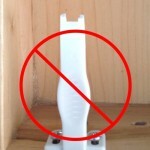 Find YOUR Local BabyProofer TODAY!